Sally Beck has been a member of Sweet Adelines for 40 plus years, having started her "hobby" in Dallas, Texas, after seeing a photo and write-up in a local paper. She joined the Greater Dallas Chorus in Dallas and later moved to Richardson, Texas and joined the Rich-Tone Chorus until she moved to Oklahoma City in 1980. There she joined the OK City Chorus where Ginger 'n Jazz Quartet was formed. Ginger 'n Jazz became International Quartet Champions in 1987. 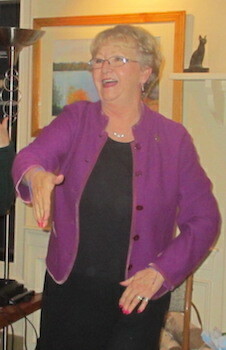 Sally has been a member of many medalist quartets including Texas Gold, Confetti, and Rhythmix. With Jim Massey's encouragement, she directed the Sooner Sensations Chorus in Moore, Oklahoma before starting a chorus in Newcastle, Oklahoma, Spirit of Oklahoma Show Chorus. In 2003, Sally moved to Nantucket, MA. and ran a Bed and Breakfast until 2013, when she relocated to Hyannis, MA. Sally is married to Tim Masterson and they share their home in Hyannis with 1 dog and 3 cats. 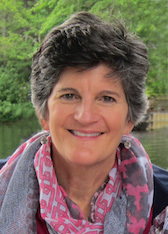 Lynne Marshall grew up in Sudbury, MA, where she filled her time singing in assorted choral groups, performing in school musicals and taking piano and organ lessons. Shortly after moving to the Cape, she joined the Cranberry Shores Chorus in 1986 and has been enjoying the music and friendships ever since. Lynne was our director from 2004 to 2010, when she decided to return to the risers, becoming Associate Director in 2010. She sang in the quartet, Magic Touch, for 5 years and currently sings baritone in the quartet, Alakazam! She lives in North Falmouth and has 3 children, although she is an empty nester now!